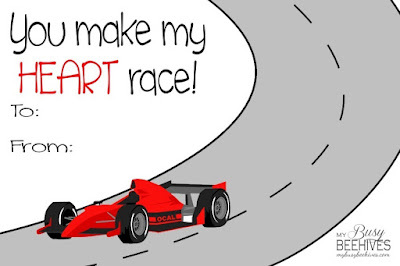 I have 5 boys, and the one complaint that we get around Valentine's Day is that everything is "too girly". I have to admit that it is probably a fair complaint. With all the shades of pink, the heart motif and then add in the doilies and lace Valentine's Day is just not a very masculine-looking holiday. 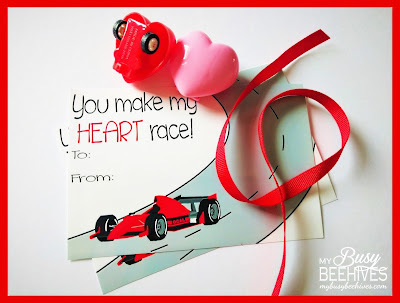 So, this year we made our own valentines in a race car theme to try to appeal to the boys in our house. 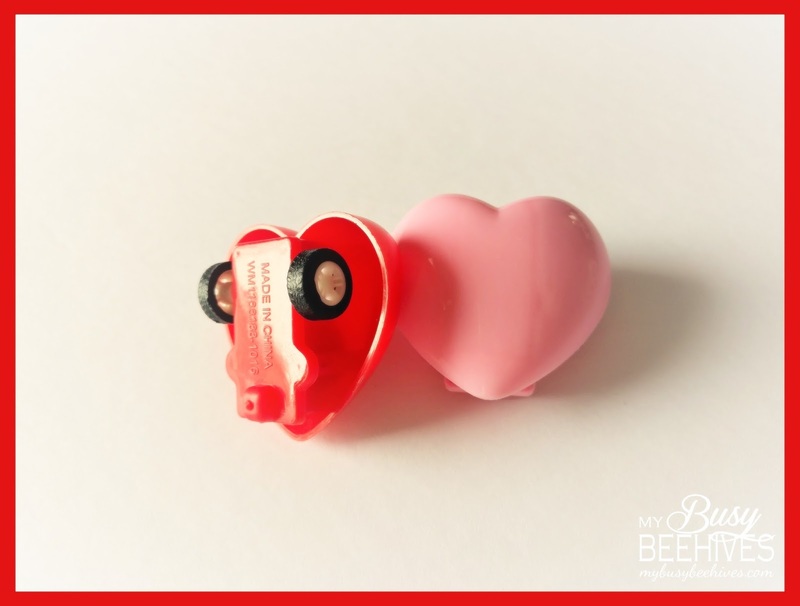 Our inspiration started in the holiday section at Walmart, more specifically in the dollar bins where we found these cute little heart shaped pull-back cars. 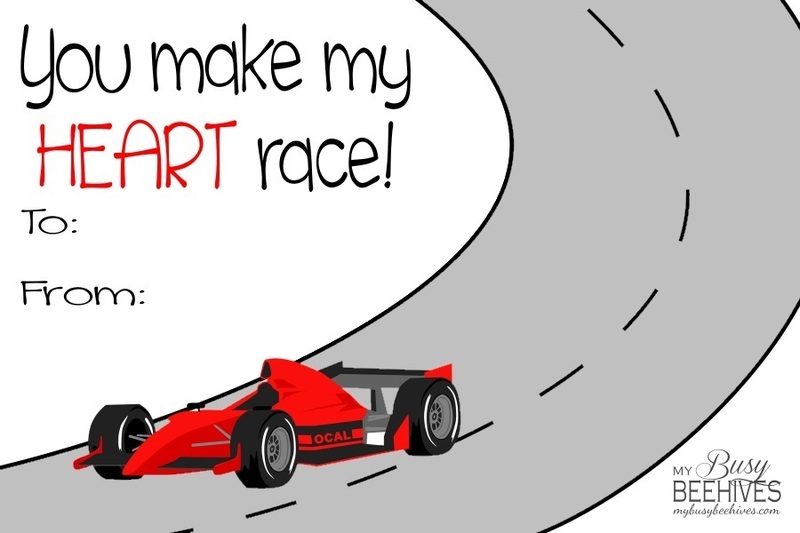 I then designed the card with a race car, added the words, "You make my heart race!" and had them sent to Walgreen's to be printed as a 4x6 print. Truthfully, I could have printed them at home, but I've found that it is actually cheaper to have stuff like this printed somewhere like Walgreens or Walmart, especially if you have a photo coupon. It saves a lot on my printer ink and card stock. I was able to print enough for 4 kids classes and paid just a few dollars. The only supplies needed were the cars, the cards and a small length of ribbon. Here's the card, just click on the link below to download and print. 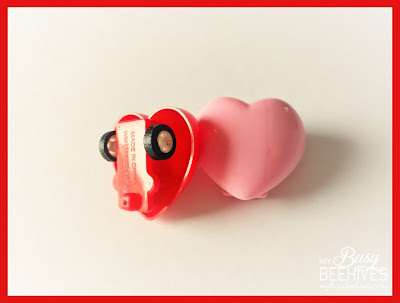 These are super cute! Pinned to my Valentine's craft board. Thanks for sharing at Funtastic Friday. 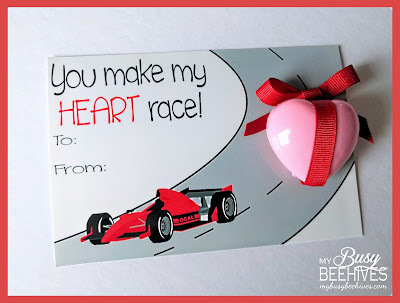 This is adorable, I love the little heart shaped cards. I'm glad you found something your boys like. I have four bothers and I had my own purple smash up derby car when I was a kid. Thanks for sharing with us at Waste Not Wednesday!